Interactive theatre performance for all the family to enjoy! 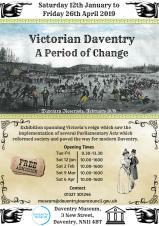 Don't Go into the Cellar Theatre Company return to Daventry Museum with a performance of Edward Lear's Stuff and Nonsense on Thursday 11th April at 2pm. 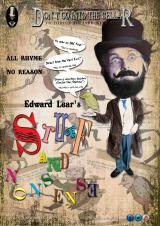 Enjoy an audience with Mr Edward Lear, King of the Nonsense Rhyme and Loopy Limerick! Allow him to entertain you with tall tales concerning his life and times, the people, flora and fauna he encountered along the way, and his own unique philosophy of life. Oh, and a certain owl and a particular pussycat are both guaranteed! The show is written for young families and audience participation is much encouraged. 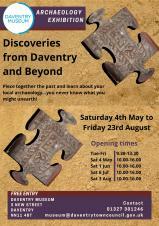 The show is suitable for ages 5+ and is free to attend however, places are limited so avoid disappointment and please reserve your tickets by calling 01327 301246 or email museum@daventrytowncouncil.gov.uk or pop in to the museum at 3 New Street, Daventry, NN11 4BT. 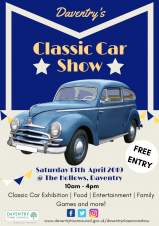 The Annual Town Assembly will take place on Monday 15th April 2019 at 7pm at Daventry Community Centre, Ashby Road, Daventry, NN11 0QE. Daventry's annual St George's Day Parade will take place in the Town on Saturday 27th April 2019 in partnership with Daventry and District Scouts. Times and further details to be announced nearer the date.